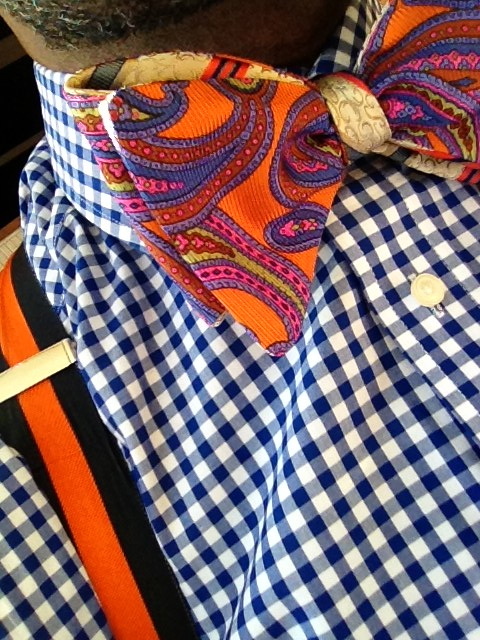 "Theres no other place to shop"
Double-Sided Piped Bow tie with Matching Pocket Circle. Michael Lamont Neckwear is an upscale and high-end haberdasher in Maplewood, New Jersey that represents style, class, and exquisite taste in our line of custom bow ties , neckties, pocket squares/circles, braces, and ascots for men. In 2012 we have also launched our impeccable unpresidented line of accessories for women labeled "Michael for Her". Our family-owned-and-operated business has offered unique designs on the cutting-edge of men's fashion for more than 20 years. Visit our online store today to see our incredible selection of bespoke neckwear. Be sure to check out the "Original Custom Piped Bow Ties" that are second to none. We have just uploaded Brand new custom bow ties and other summer items . Go now and take advantage of this opportunity. Also check out our new Custom Made Double-Sided Piped Bow ties. We are currently preparing for our 2017 Spring/Summer Collection of custom Bow ties , so we ask that you keep in touch so that you may be able to purchase our newest custom items. Happy shopping. Click below for PayPal No payments + No Interest Plan for purchases over $99. No matter what your style is, we have a customized tie to match it. From plaids, solids, stripes, and paisley designs, the possibilities are endless. Choose from our spectrum of colors. From regular or long to 100% silk, you are sure to find exactly what you want at Michael Lamont Neckwear. We can custom design your wedding party and have special orders and sizes available for your needs. We also make it easier for the out-of-area customers to purchase our products. Click Here to Visit Our Online Ties Shop! Contact us today for more information on our wonderful line of neckwear.